How has Alzheimer’s impacted you? You may never get Alzheimer’s yourself, but know someone who has. You may be a caregiver or therapist. You may just want to learn more about a disease that will strike one in every eight people. #TalkAlz, the new Alzheimer’s Twitter chat, is for you. Whether you’re interested in learning more about Alzheimer’s Disease and related dementia, need resources or want to share stories and get advice, or just want to talk with someone who knows what you’re going through, our Twitter chat is exactly what you need. Today was our first chat, moderated by Michelle from @Seniors4Living. Topic: How have you seen Alzheimer’s impact lives? Take a look at the highlights and grab some resources! You can also view and download the full transcript at the fabulous Healthcare Hashtag Project. And don’t forget to join us next time–we’re here the 2nd Tuesday of every month. Q1: How have you seen Alzheimer’s impact lives? Your own life, somebody you’re close to, a patient? itsafullnest: A friend is struggling right now. Her mother had to go to a memory care facility & the family isn’t getting help. VirginiaPflanz: I’ve seen it act like a cage around everyone it touches — those with the disease, and those caring for them. cc4alz: My Mom has Early Onset Alzheimer’s. Its taken her memory & abilities. Shes often sad & confused. Awful to witness. AgingWisely: As care managers, we’ve worked w/many with wide variety of impacts. Lots of struggles w/choices. jocelyn528: Having to watch people slowly lose a loved one who is still right in the room with them. Seniors4Living: I worked in an assisted living home & saw the impact there, but when my G-pa was diagnosed, it was such a different experience. cc4alz: I think Explaining Alzheimer’s & Experiencing it are 2 different things. Until you live it 24/7, you have no idea. Seniors4Living: I had a lot of head knowledge, but it didn’t do much good when my heart was broken. Q2. If you could give advice to anyone involved in Alzheimer,s care, what would that be? caregiving: Know your limits and your caree’s limits. As much as you can, let go of what was, embrace what is. Acceptance is your friend. cc4alz: PREPARE EARLY! Make a list of what help you’ll need, tell family/friends what’s happening, ASK & ACCEPT help. CaringPeopleInc: Advice to both prof and fam caregiver, take short calming breaks and don’t take it personally. eldercarelink1: It’s going to be a rough road, but stick with it and know that every little thing matters whether the person shows it or not. @CaringPeopleInc: Don’t take it personally. jocelyn528: ASK for help, for advice, for resources. GIVE love, honest answers to questions. TAKE assistance, deep breaths, time for you. _AHAF: Someone impacted by AD once told us: that routine is best, routine, routine. Do not break from routine of daily habits. CPI_Training: Join a support group online if you can’t offline. Someone on the other side of the world could be a big help. VirginiaPflanz: Take one day at a time. Embrace small victories. jocelyn528: Online support groups are great. You can get support and still be in same room as loved one. Seniors4Living: Support groups are SO valuable! And if you’re uncomfortable w/group settings, just talk to someone else who’s been there. It helps. Q3: How has the impact of Alzheimer’s changed you as a person? CaringPeopleInc: We are reminded of capacity of love in the human heart, ours & the resiliency of the human spirit, theirs. VirginiaPflanz: Makes me want to see my family much more often. Want my daughter to have lots of memories of Grandma & Grandpa. caregiving: No matter our disease or disability, we retain our basic need: To give and receive love. homeinstead402: Childhood experiences w/ #Alzheimers brought me into Sr Care industry and made me an advocate to end alz. eSociaLife: Alzheimers has changed how I interact w others. Making time and connect emotionally, be in the moment with them. itsafullnest: In supporting my friend, I remind her to stay in the moment & not start thinking down the road and missing the RIGHT NOW. MJHS01: As HealthCare professionals we have 2 treat the patient AND family. Alz effects the entire family. Q4: What was the most surprising thing you learned about dealing w/ Alzheimer’s diagnosis in family/friends? 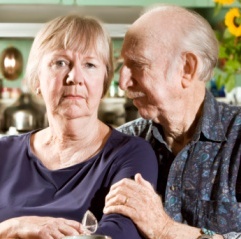 caregiving: How easy it can be to fall into the trap of denial. And, then, how hard it is to get free of that trap. alzfdn: No matter how prepared you are, it will always benefit you to reach out for help, and educate yourself further. homeinstead402: It was surprising to me how little about #Alzheimer’s is known and understood in the mainstream (bcuz i grew up around it). CaringPeopleInc: The potential for humor. That laughter is healing and a way for families to diffuse some of their hurt/anger/disappointment. VirginiaPflanz: Early diagnosis is key! The earlier it’s detected, the slower the progression! Don’t sweep it under the rug! itsafullnest: I didn’t know Alzheimer,s could occur as young as 40. I also didn’t know early treatment was available. Had to ask many ques. MemoryPeople: There is much stigma.. we have to break through that.. it’s a disease, like any other. caregiving: Several of our bloggers care for family members with dementia; you can read their blogs here. homeinstead40: Find out more about how professional caregivers can help your family. itsafullnest: I interviewed Gail Mitchell from Empowering Caregivers. She mentioned these journal activities. cc4alz: We started Alz resource thread on twitter: #AlzBooks. Add titles/authors you found helpful. CaringPeopleInc: Here’s our “Life with Alzheimer’s” YouTube Playlist: Helpful advice and wonderful storytelling. homeinstead402: If you are a family caregiver, check out caregiverstress.com for ideas to help cope. AD_Research: Caregiving Q&A on our site. Could be helpful for those caring for someone with Alzheimer’s. MemoryPeople: Memory People on Facebook. We are a 24/7 support group for Alz and memory impairment patients, caregivers, advocates. caregiving: Helpful article when youre wondering: A bad day? Or, a decline? CPI_Training: Alzheimer’s and dementia care videos and Dementia Care Specialists for a higher quality of life for persons with Alzheimer’s AND their caregivers. ← Talk Alzheimer’s with #talkalz!